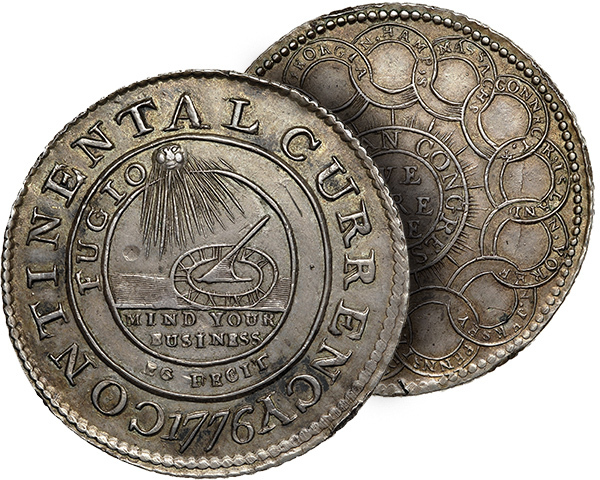 The Continental Currency coin holds a special place in our nation’s history. Issued in 1776 and designed by Benjamin Franklin, the coins were minted in silver, brass and pewter and featured a radiant sun shining on a sundial alongside the legends “Fugio” and “Mind Your Business.” To many historians, these legends were meant to say, “Time flies, so work hard and be industrious” whereas many others interpret the legends more literally as, “I fly. Mind your business.” The reverse side has 13 circles with the name of each colony surrounding an inner circle spelling out American Congress with “We Are One” in the central circle. We chose the Continental Currency coin as our logo because it represents everything First Capital Advisors Group stands for: Independence and Hard Work. We are accountable to no one but our clients and we work hard so that they may enjoy financial freedom.